Keep unwanted visitors off your plot with our selection of distinctly unfriendly hedging plants, most are particularly suitable for securing your boundary and we have both evergreen and deciduous species. Some with flowers and berries too! If you need prickly security hedging plants to add to your armoury, deterring unwanted visitors and opportunistic thieves then we have the hedges you need. We stock a great selection of spectacularly thorny plants to secure your garden - and they look good too! 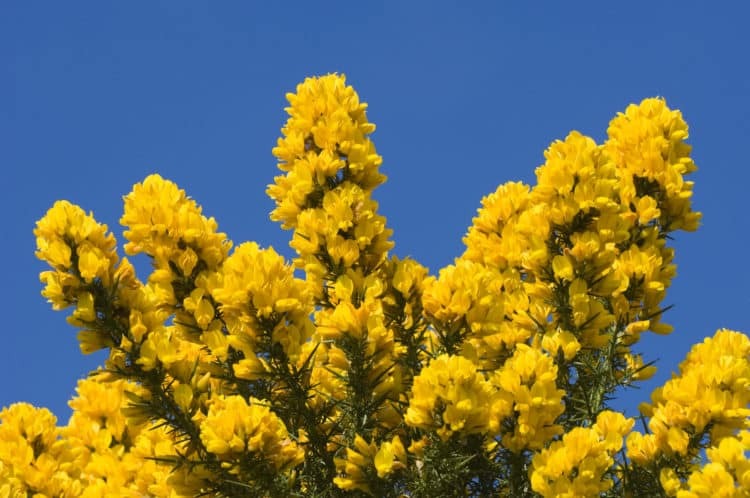 Security Hedging Plants – One of the best ways to keep thieves out is to use the arsenal of defence created by nature evolved over many years in the form of thorny prickly plants. A prickly hedge gives protection all year round, be it on a boundary or close to a property with its seriously unpleasant habit, fierce to push through or try to climb over. Suitable security hedging plants have evil thorns, scratching and piercing skin or sharp pointed leaves are often enough to keep burglars and prying eyes at bay whilst being visually appealing to those around – and they will be far cheaper than a fence, and last longer! 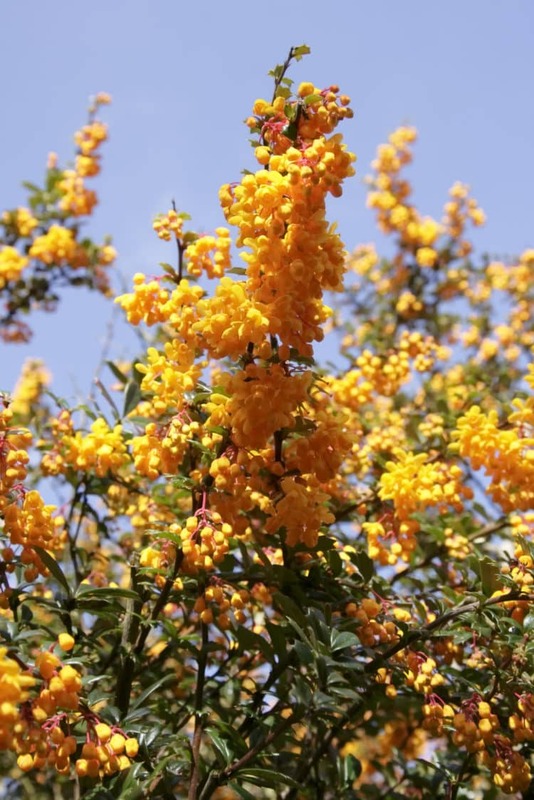 As well as planting a hedge, perhaps one such as Berberis Stenophylla, known to be one of the prickliest or Holly, there are several other ways of using these barbed plants to great effect as an impenetrable barrier whist capitalizing on the beauty and added benefits to nature of these plants. Instead of trellis on the top of a fence, try running a couple of wires between the posts and train a thorny Rose or the evergreen Pyracantha along them creating a pretty yet extremely good defensive boundary. 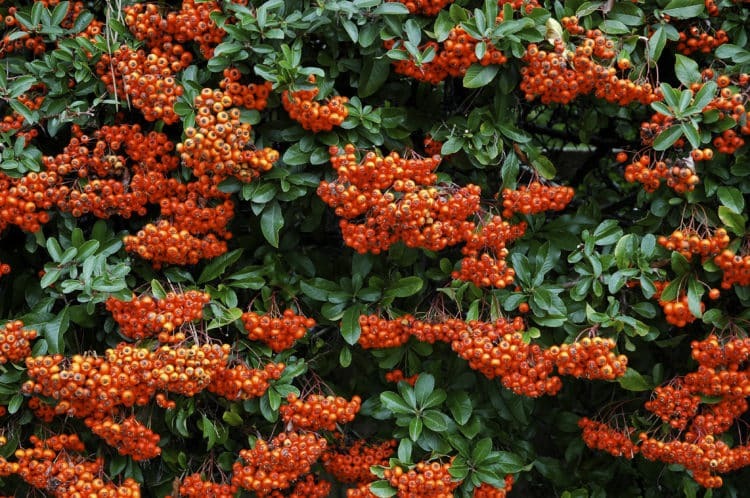 – Pyracantha or Firethorn – the colour of the berries makes little difference, all varieties are spectacularly prickly! If wanting to create a thorny thicket virtually impassable on foot therefore repelling intruders to great effect, plant a dense cover of Gorse or foundation plant roses such as Rugosa especially under windows. 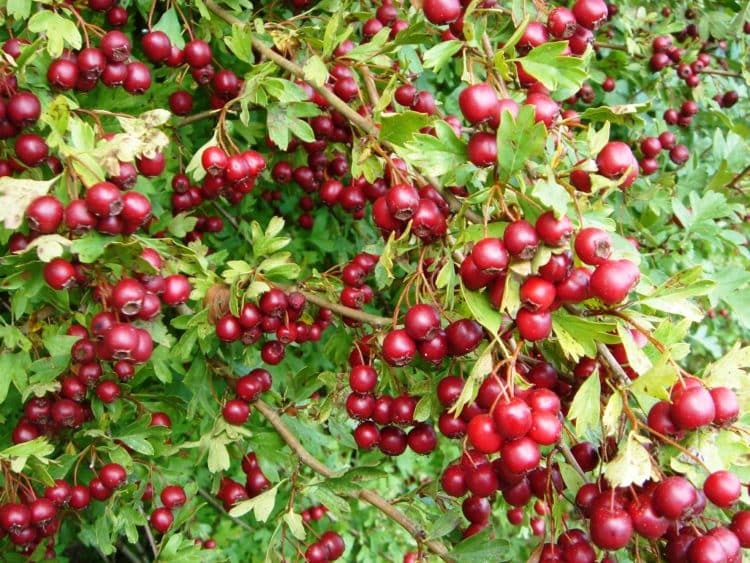 Quickthorn also known as Hawthorn, Blackthorn or Mixed Native Hedging Plants are excellent choices of plant to create boundary hedging plants that can be planted on a budget and with patience these develop into dense and secure boundary fences often used by farmers.